Steady as a rock. The light was just changing and the other cyclists were doing a double check for cars before pushing off. 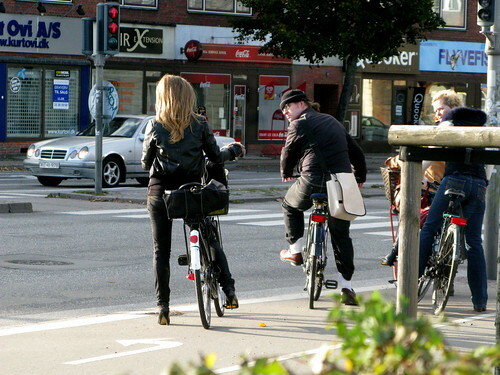 Some Copenhageners are in less of a hurry. 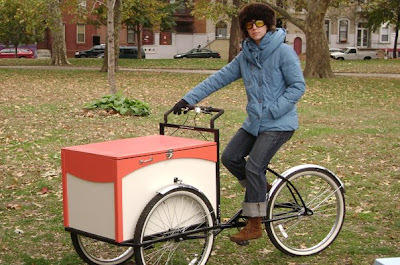 Philadelphia Cycle Chic from the website for Haley Trikes - a company that makes these cool cargo bikes. We posted about them over at Copenhagenize.com. I have an ivitation for you to come and visit my art blog here in San Diego, and comment if you will.